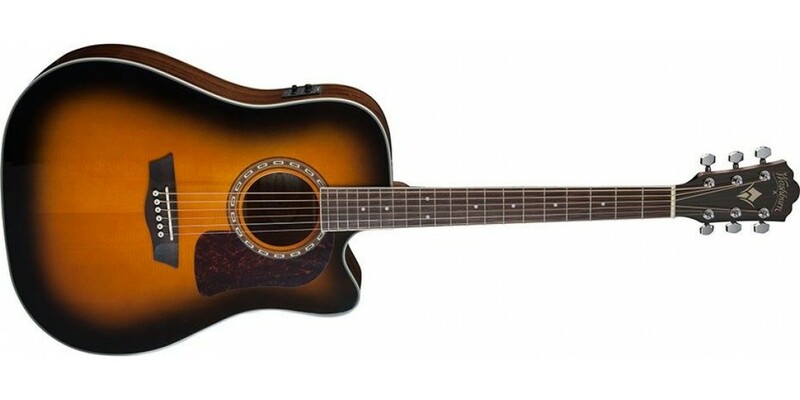 The HD10SCETB is a dreadnought cutaway acoustic guitar in a beautiful gloss tobacco burst finish. 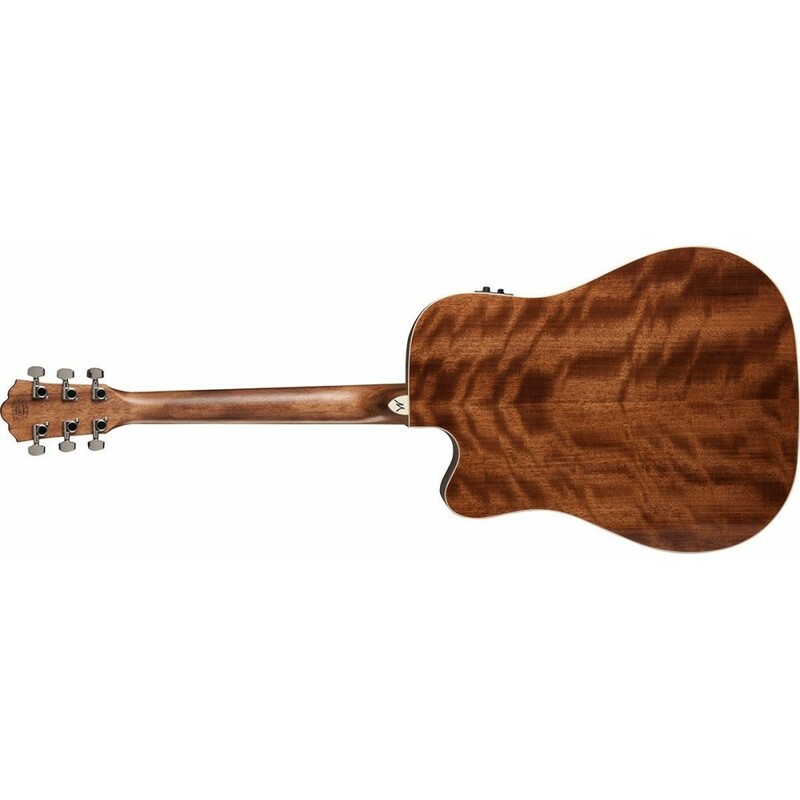 It feature a solid spruce top for superior tone that improves with age, mahogany back, sides and neck, a rosewood fingerboard and bridge, diecast tuners for quick, easy and accurate tuning, a Washburn tortoise pickguard and a custom rosette. 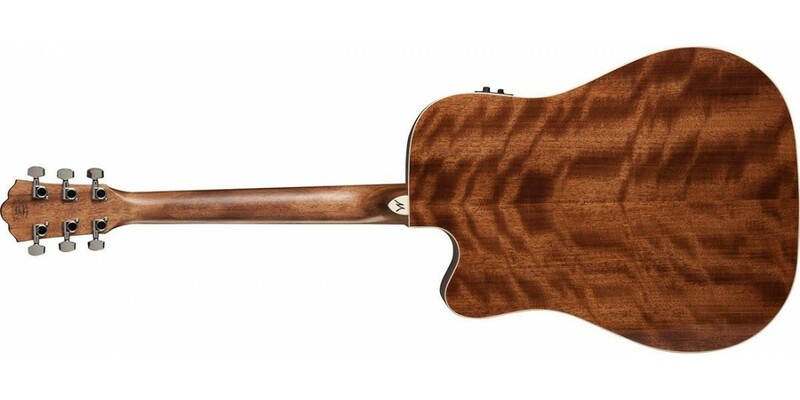 The cutaway makes it easy to reach the uppermost frets. With its built in premium Fishman 301T Tuner/Preamp, you'll never have to carry a tuner with you and it's plug-in ready. 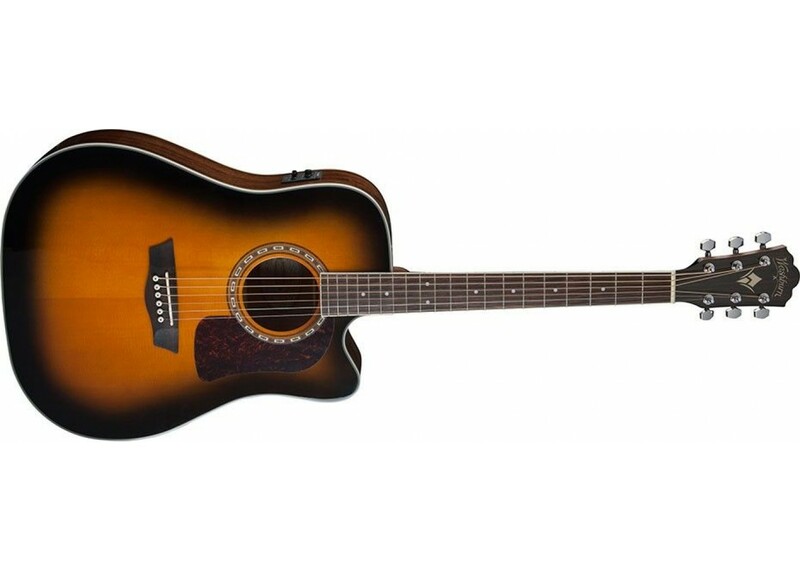 The HD10SCETB is the perfect guitar for strumming, picking some blues or bluegrass flatpicking. It's the perfect performance instrument thanks to the premium Fishman electronics. This preamp provides the most natural amplified acoustic tone and features volume, bass and treble controls and a phase switch for feedback control.